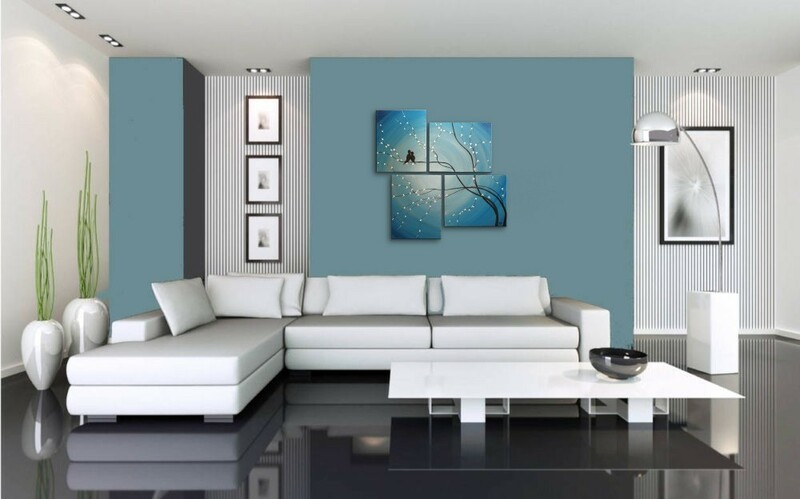 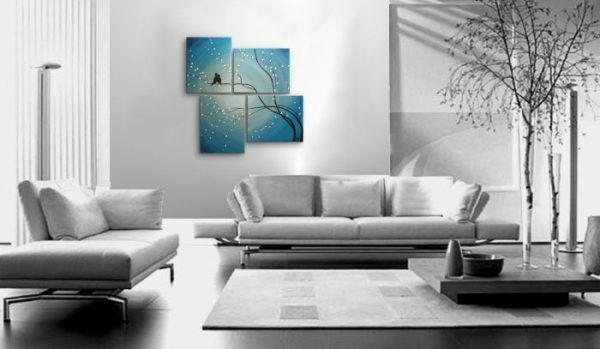 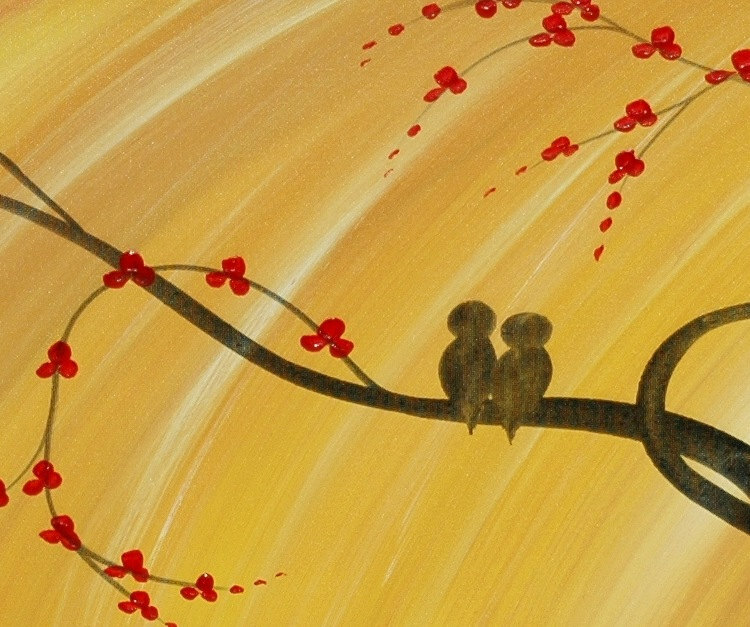 “Loving Life Together” is the title of this beautiful painting. 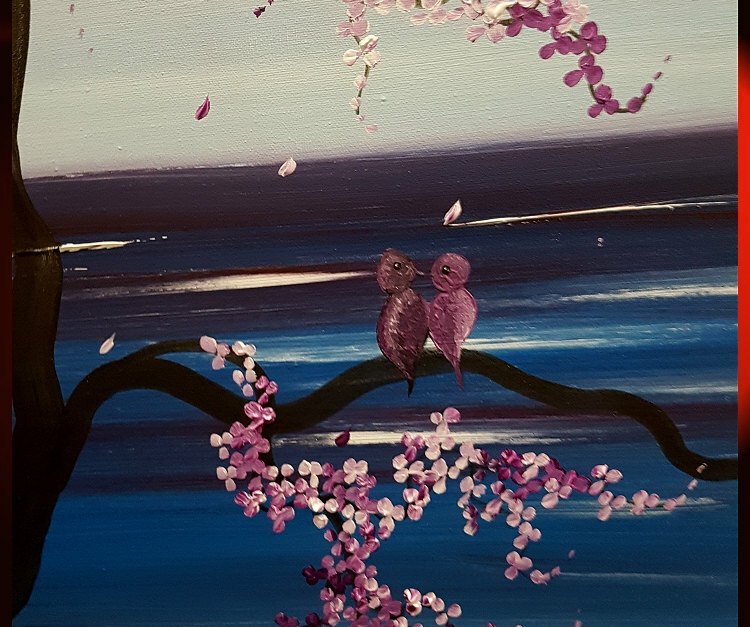 I made two love birds that are sitting on the top branch together enjoying a beautiful warm spring day. 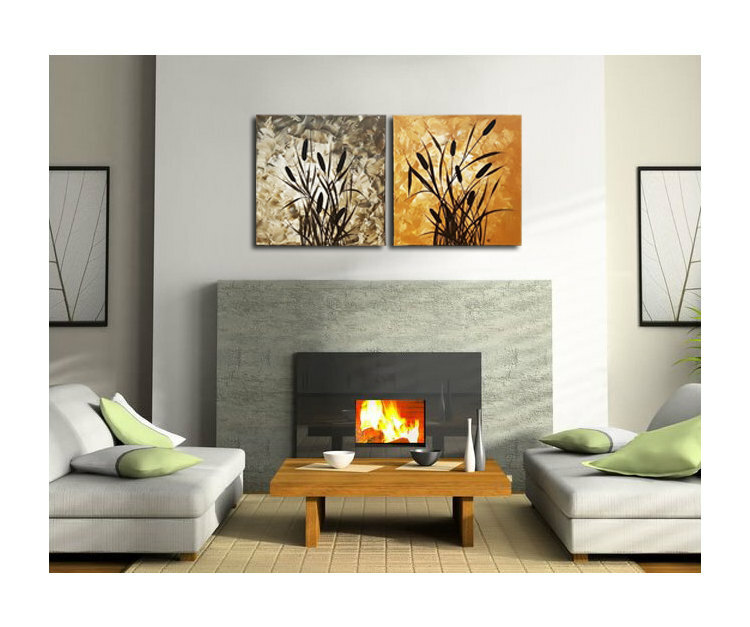 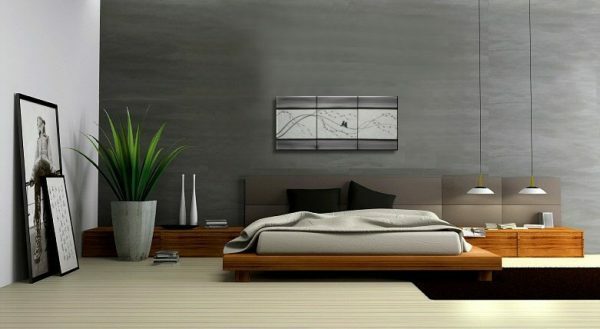 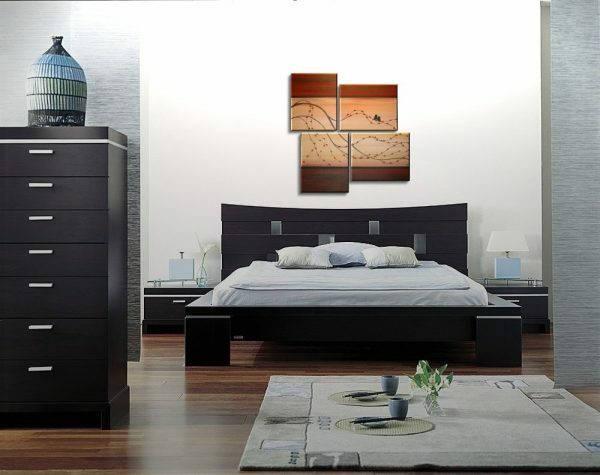 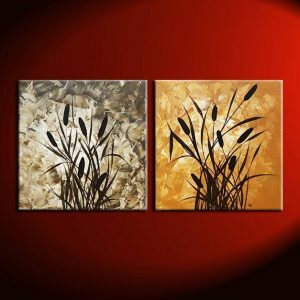 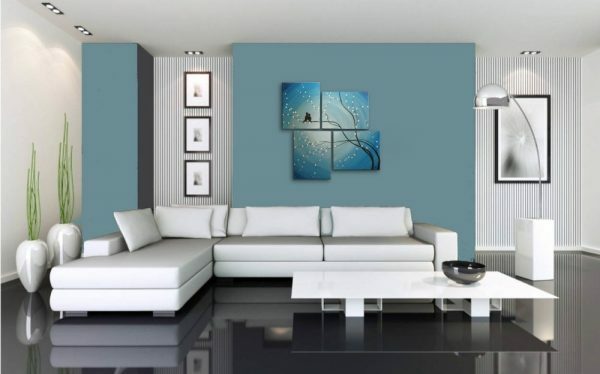 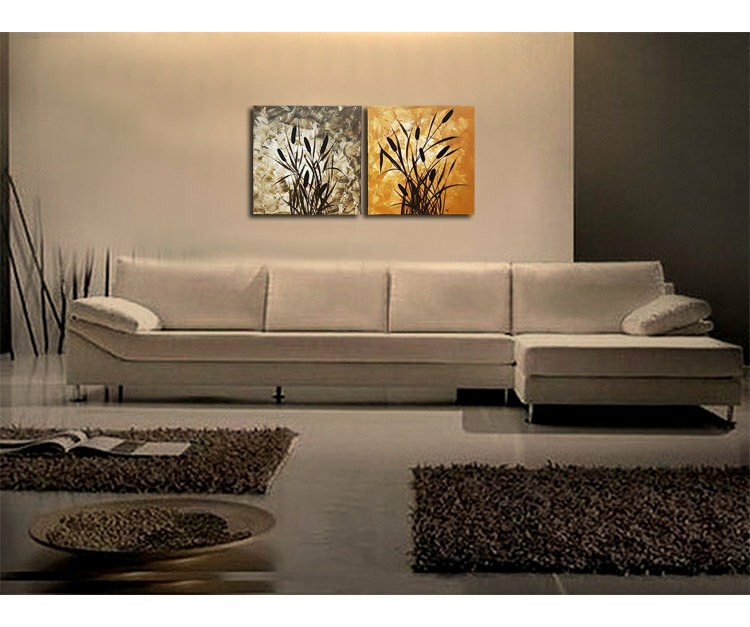 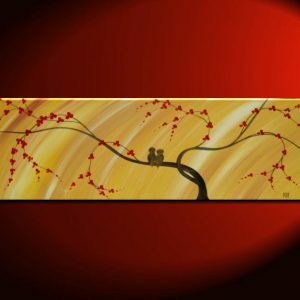 This painting would make a great wedding or special anniversary gift, or could commemorate your engagement. 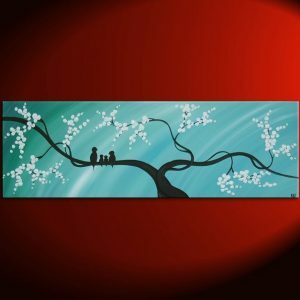 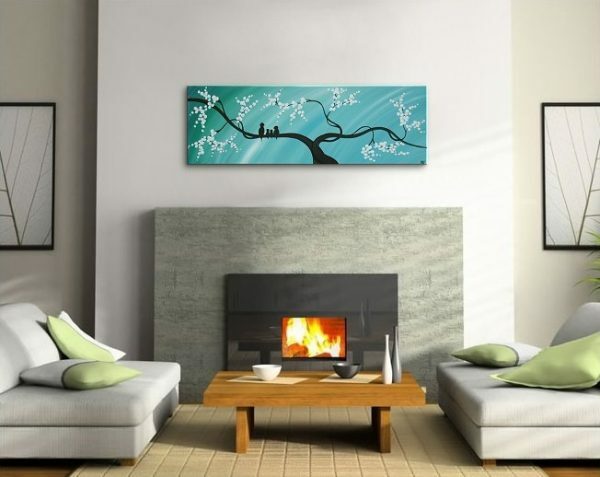 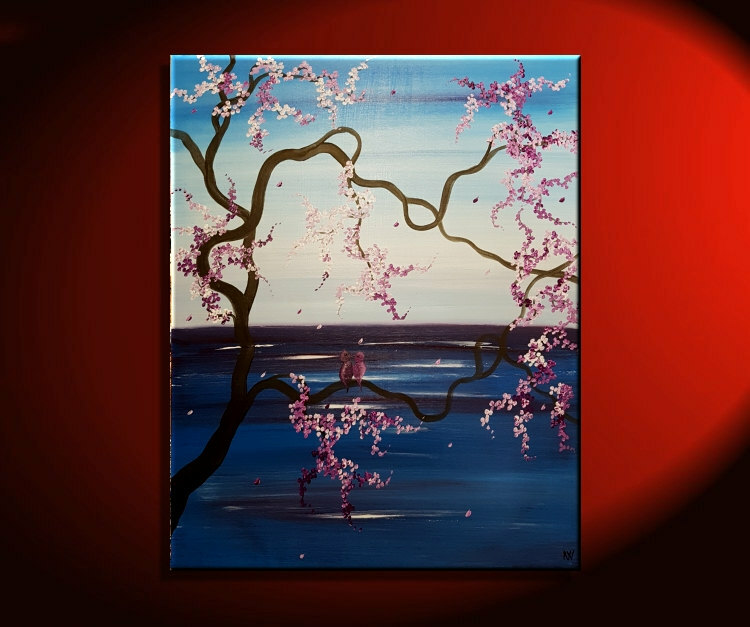 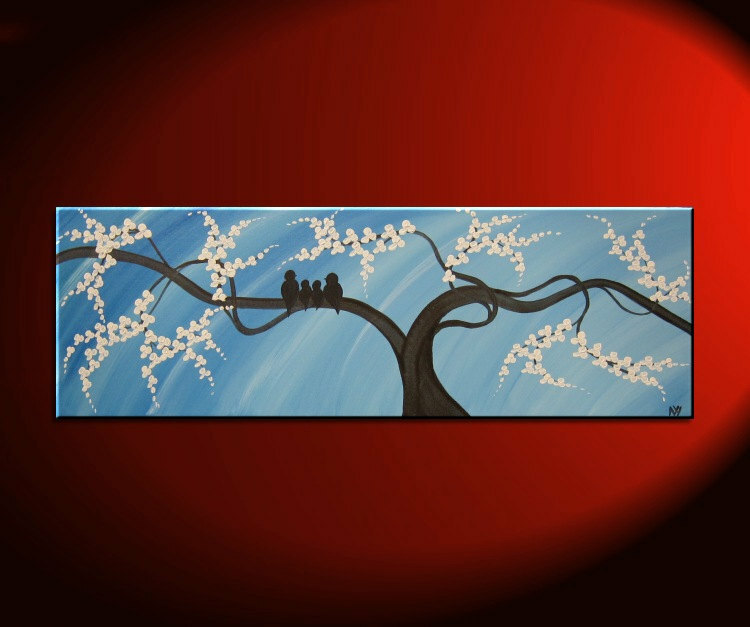 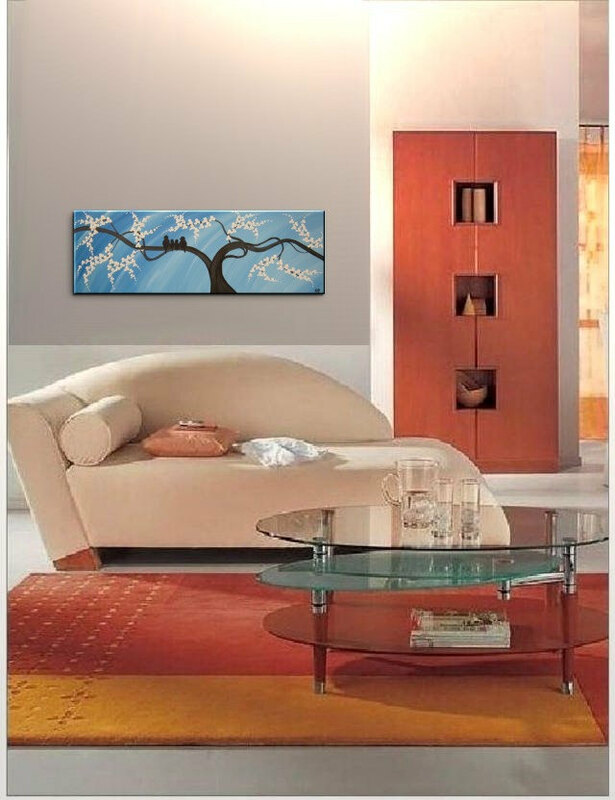 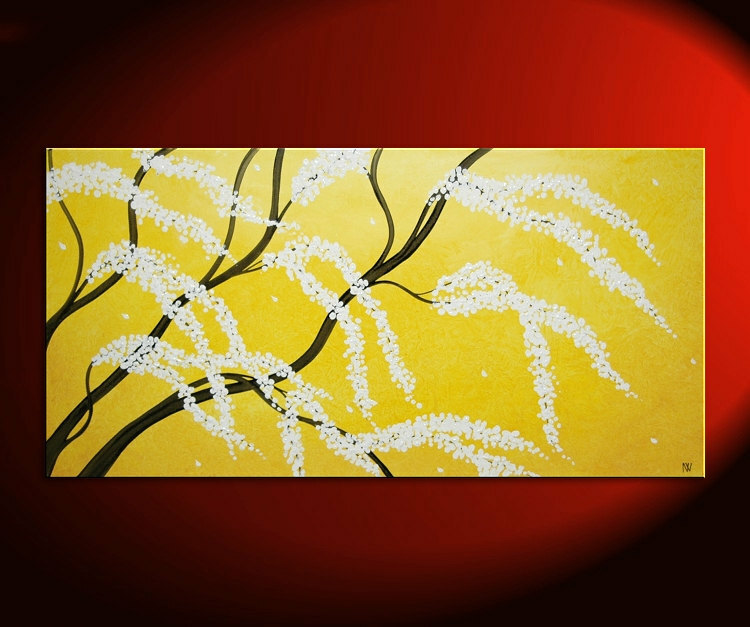 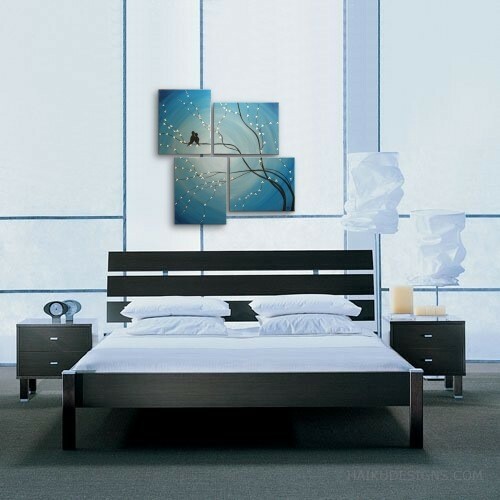 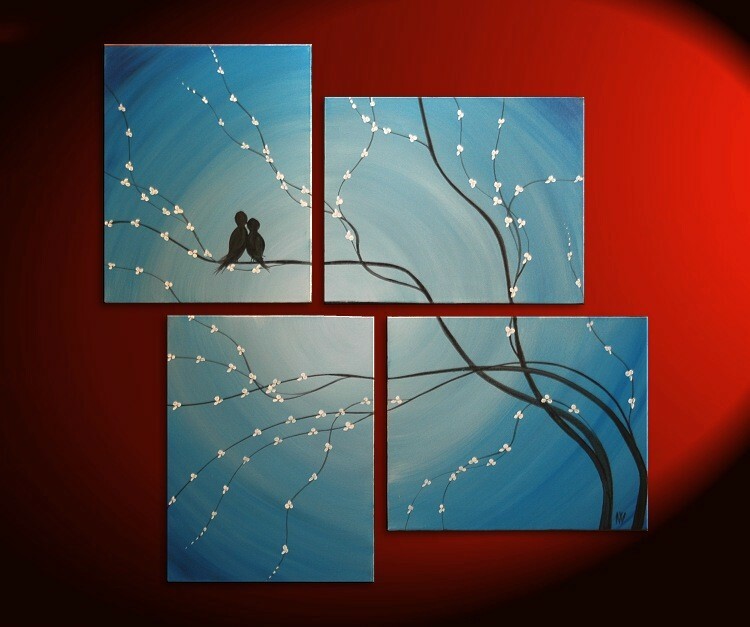 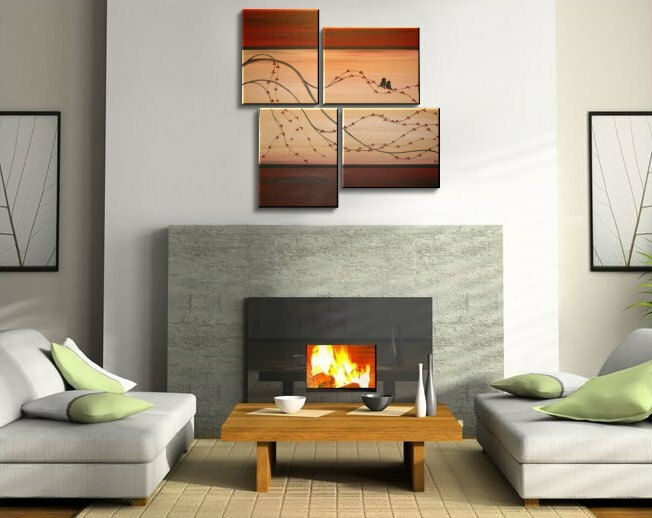 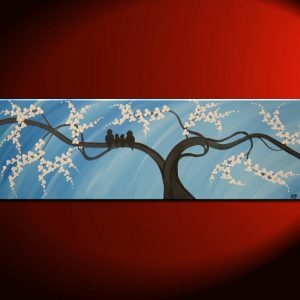 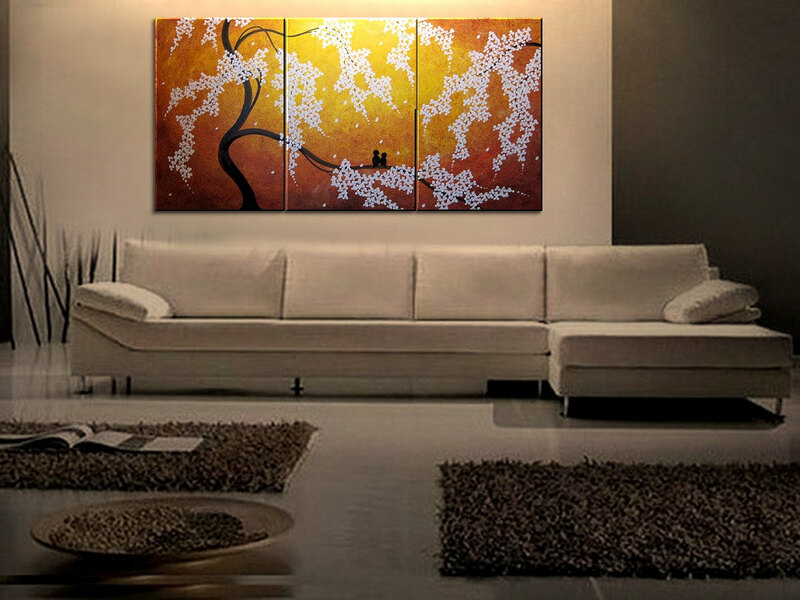 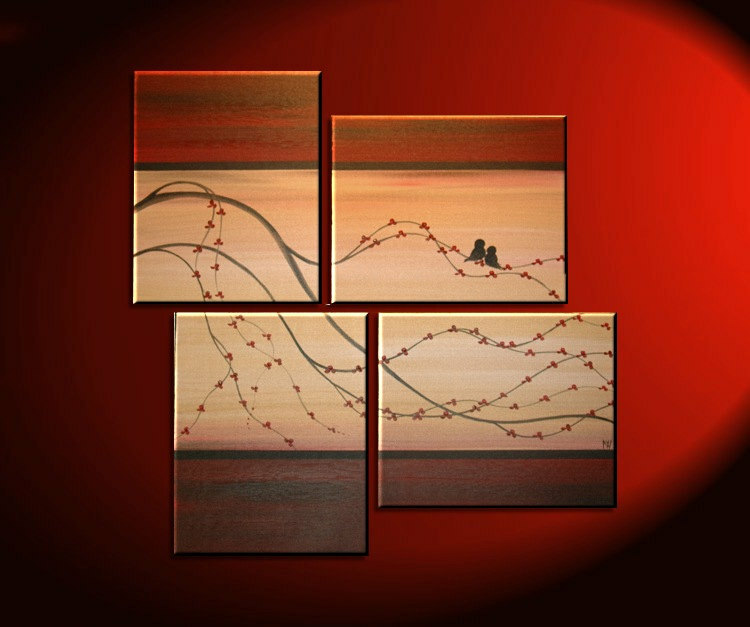 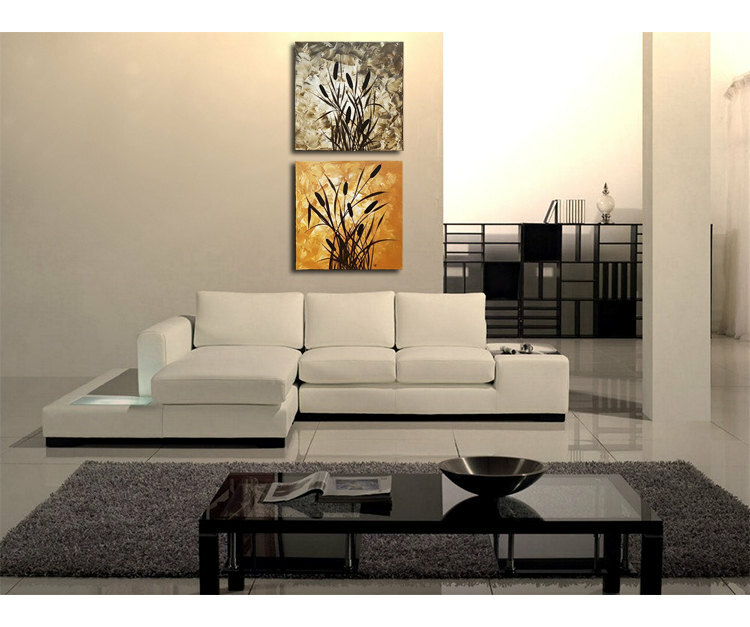 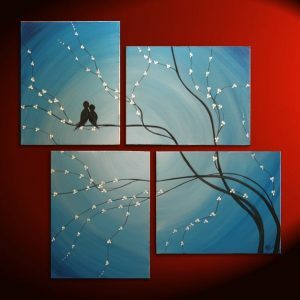 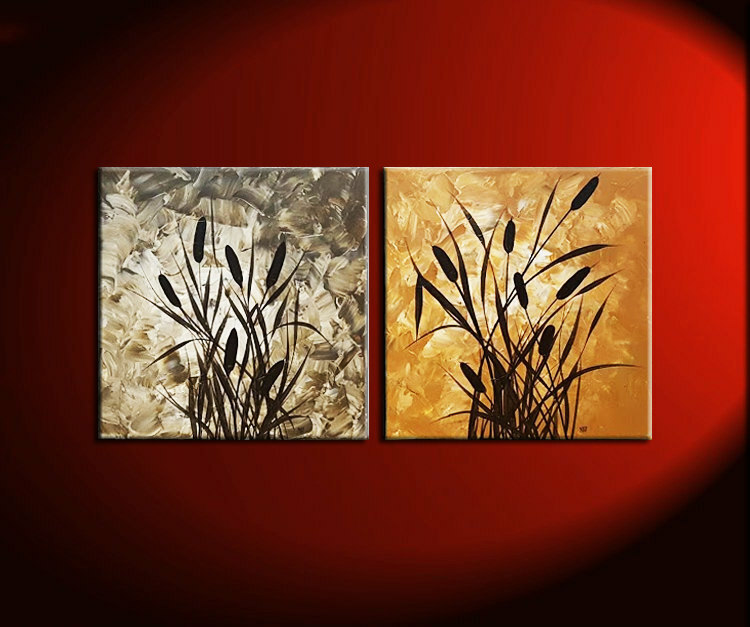 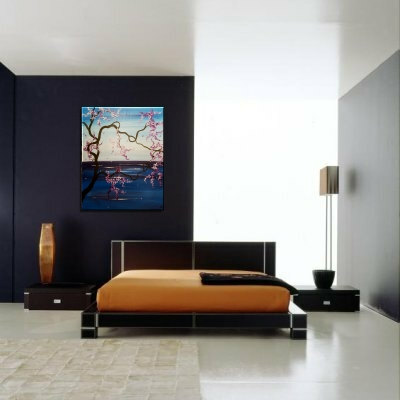 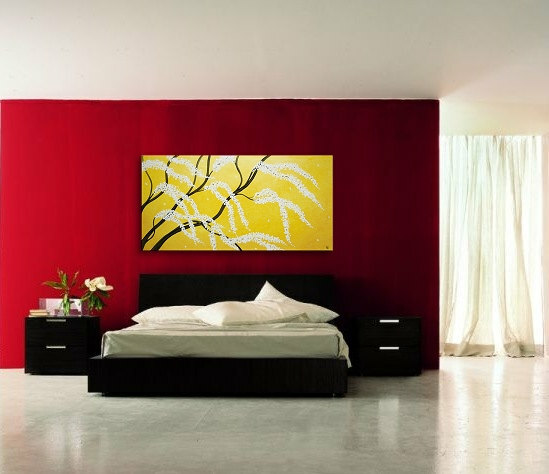 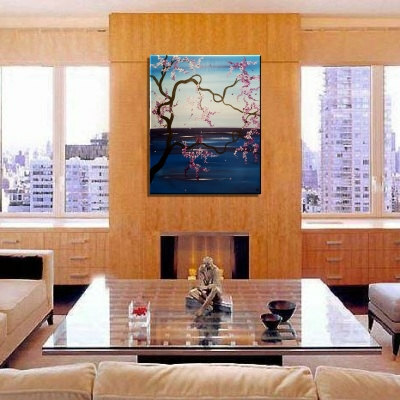 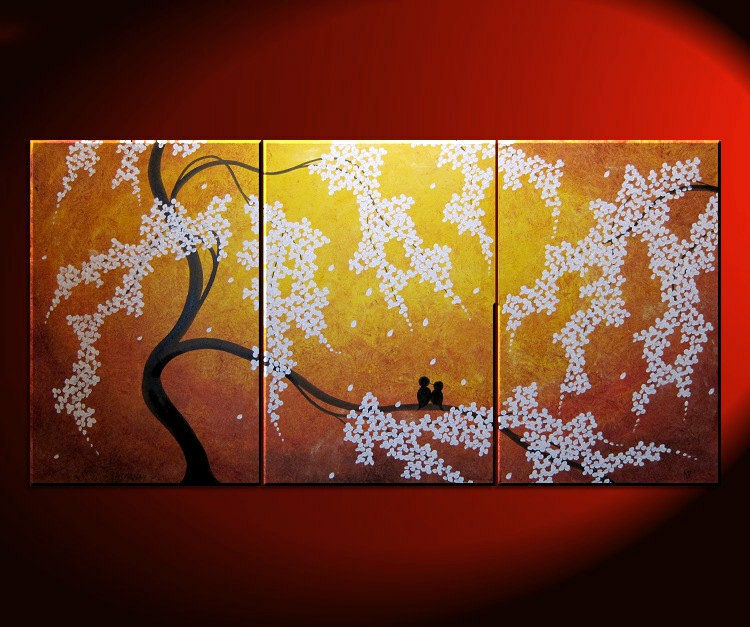 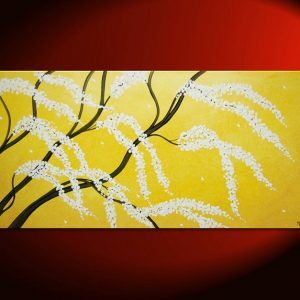 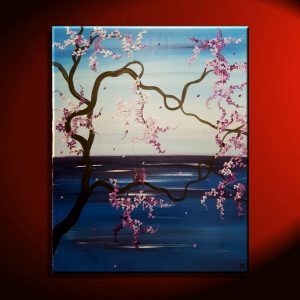 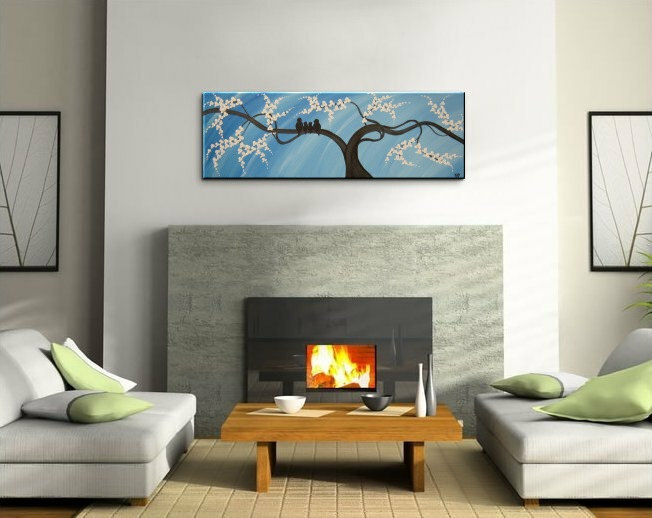 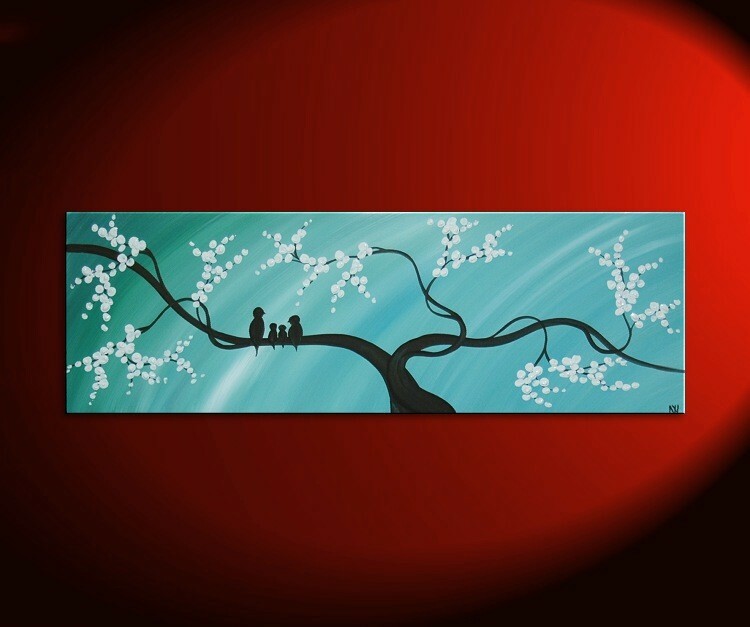 Original Acrylic Painting with a cherry tree branch with bright red leaves painted over four canvases. 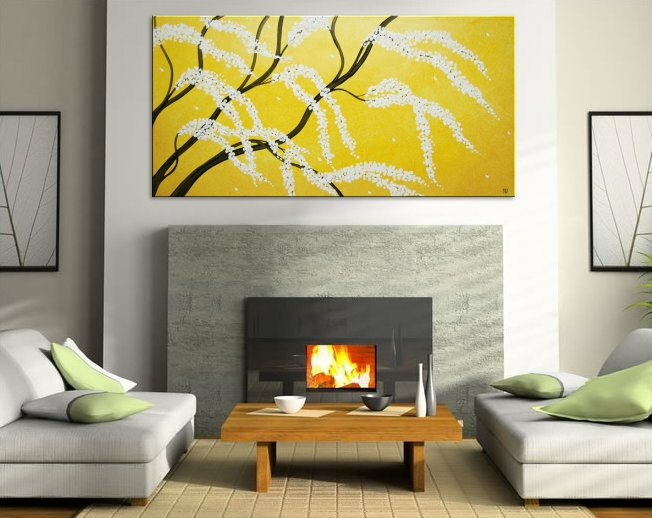 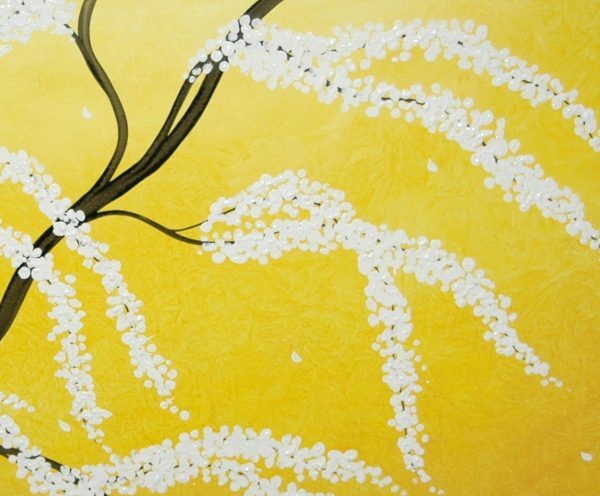 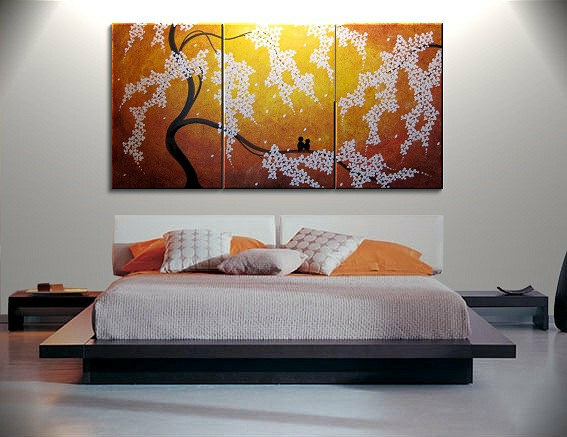 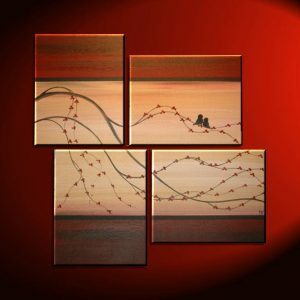 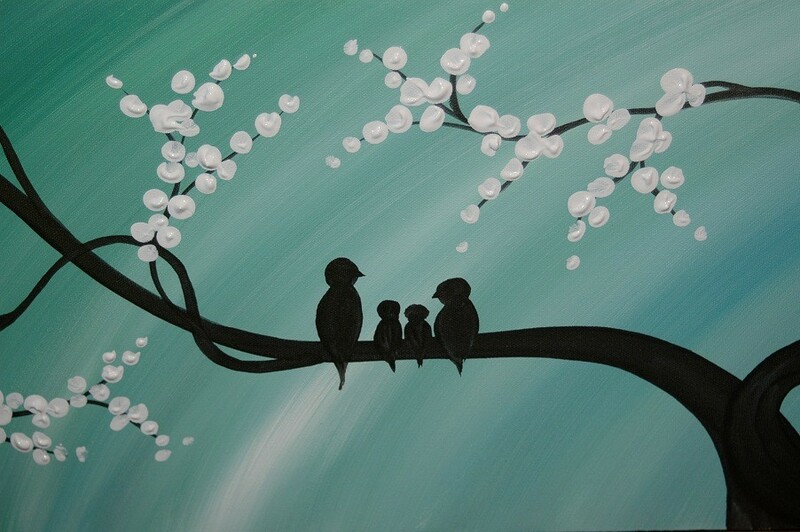 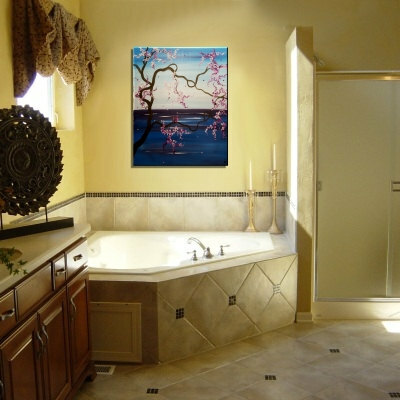 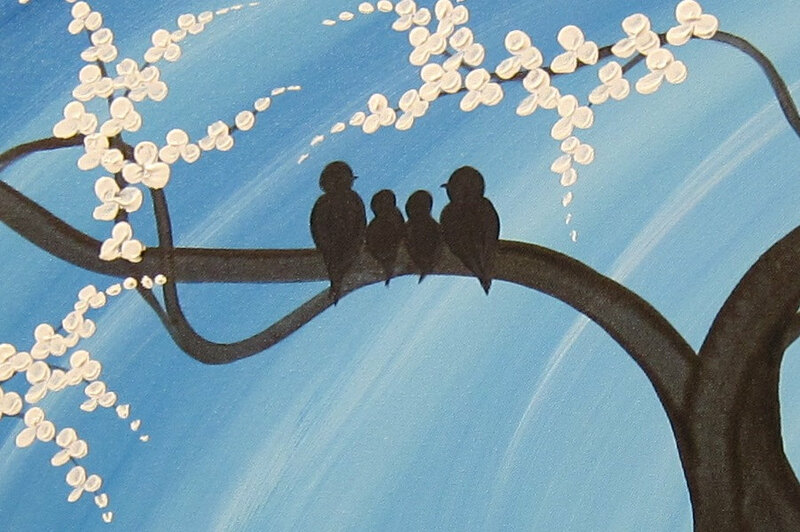 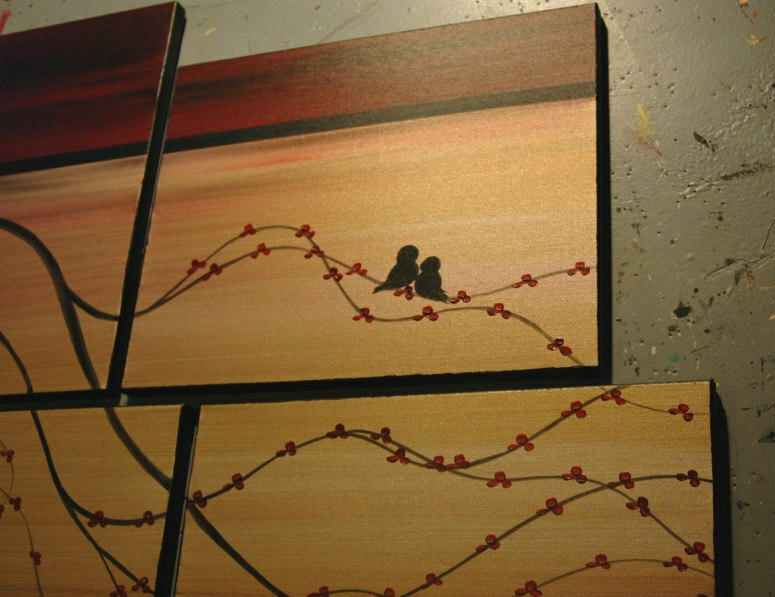 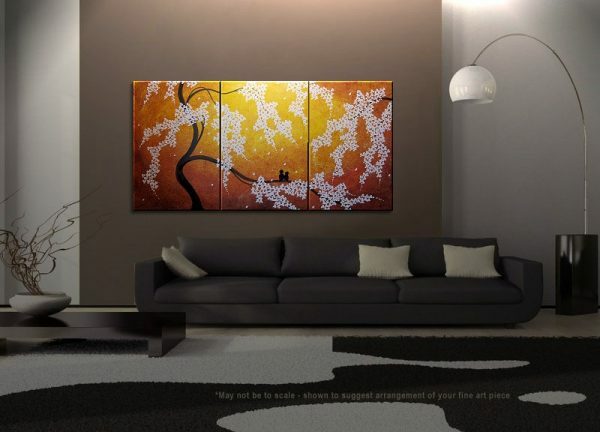 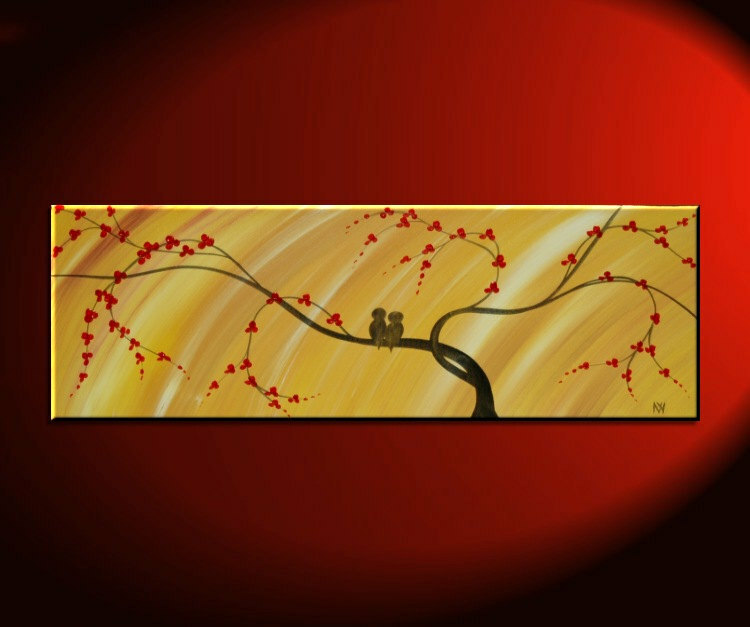 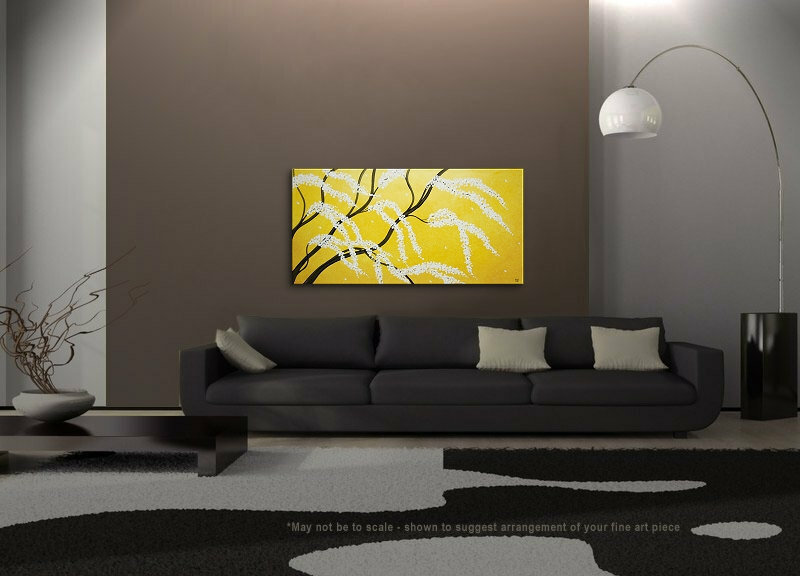 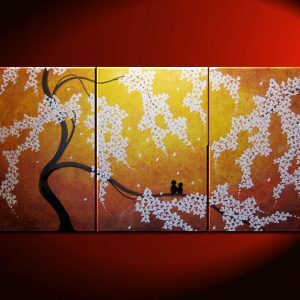 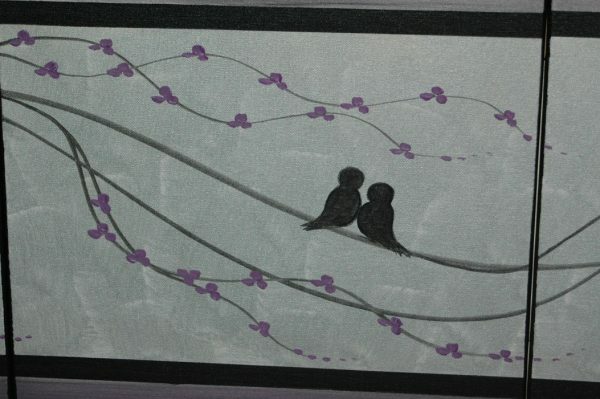 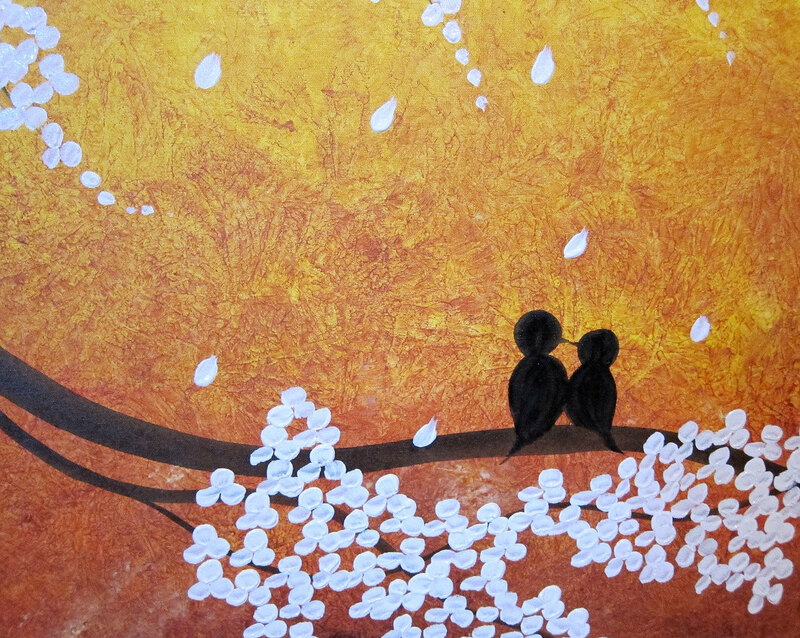 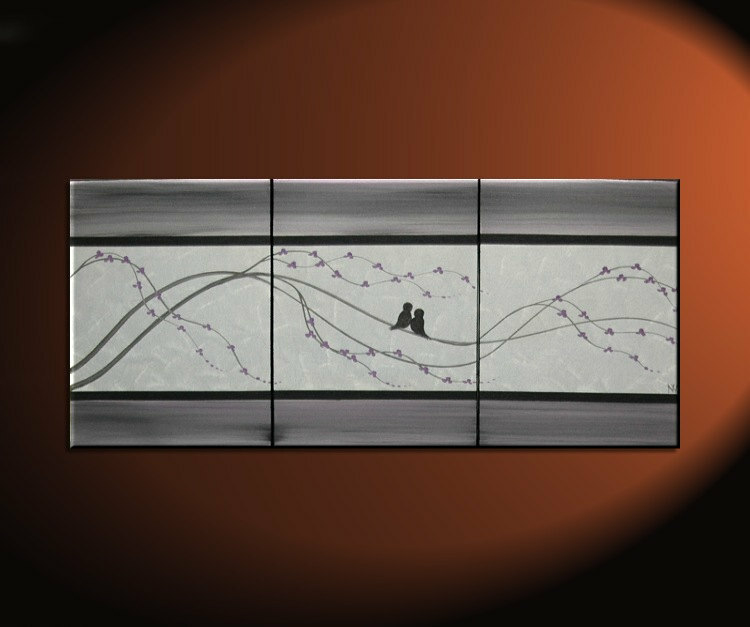 "Cherry Blossoms and Love Birds" is painted in warm neutral golds, browns, reds. 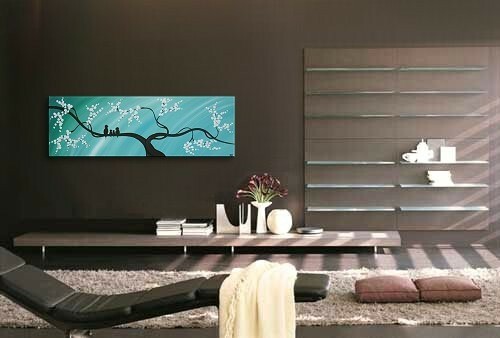 "Enjoying the warm spring breeze"